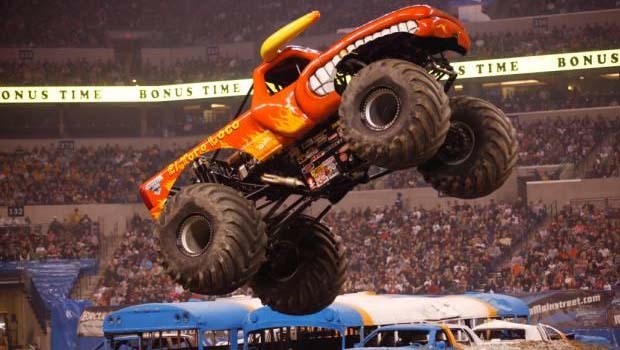 Monster Jam Ford Field Tickets Contest – Enter to win 4 tickets to see Monster Jam at Ford Field in Detroit, Michigan on Saturday, March 9, 2019 at 7p. courtesy of Oakland County Moms and our friends at Feld Entertainment. e-mail me at lisa@oaklandcountymoms.com. Put MONSTER JAM ONE in the subject line and don’t forget to include ALL of your contact info (name/e-mail/phone #). Please let me know if you’ve completed steps 1-3. I’ll accept entries through Thursday, February 29, 2018 and draw/notify a winner on Friday, March 1, 2019. Winner will be instructed on how to pick up the tickets via/Ford Field Will Call. The winner will be announced on this page on Friday, March 1, 2019. The winner will receive 4 tickets to see Monster Jam at Ford Field on Saturday, March 9, 2019 at 7p. Special thanks to Feld Entertainment for providing the tickets for Oakland County Moms for this contest! I saw on the web site that some metro pcs locations are giving awah pit passes, i cannot find a participating locationnear warren mi!